Deliveries of the Nuvosport have commenced and you can contact your nearest M&M dealership to book yourself a test-drive. The NuvoSport rivals not only the very successful Ford EcoSport but also the recently launched Maruti Vitara Brezza. 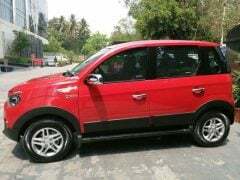 It maybe noted that the EcoSport has been one of the most successful models in the Indian car market and so far, the Quanto has been unsuccessful with making a dent on the sales of India’s favorite compact SUV. Coming to the Vitara Brezza, the new Diesel-only Maruti compact SUV has been launched at a very attractive price of INR 6.99 lacs. Hence, it could be an almost Herculean task for the NuvoSport to make a huge impact in the market. The updated Quanto goes on sale for a starting price of INR 7.35 Lakhs. The 2016 Mahindra Nuvosport AMT prices start at INR 9.0 lakhs (ex-showroom, Mumbai). 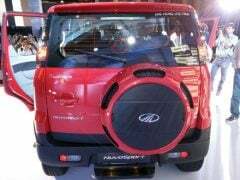 Mahindra is sure there will be no cannibalization among the NuvoSport and TUV300. As we just said, the Vitara Brezza has been launched at a very attractive price of INR 6.99 lacs. Now, a starting price of less than INR 7 lacs could have worked in favor of the new Mahindra model. 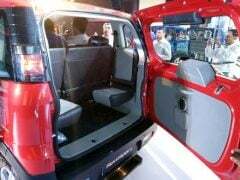 Still, we do see at least some prospective compact SUV buyers heading towards this upcoming compact SUV due to traditional Mahindra traits of ruggedness, ease of maintenance and high loading capacity. Unlike what the rumors stated, the Nuvosport doesn’t get a new mHawk100 petrol engine. The only engine on offer is a 1.5-litre three-cylinder diesel engine with a two stage Turbo. This engine comes with a choice of a 5-speed manual or automated manual transmission (AMT). This engine produces a max. power of 101.4 bhp and a peak torque of 240 Nm. The Mahindra NuvoSport fuel mileage is certified at 17.45 kpl by ARAI. Akin to the KUV100, the Nuvosport offers PWR and ECO driving modes . 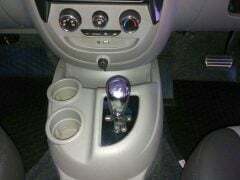 These allow the engine to optimize the power delivery or fuel economy as per the user requirement. 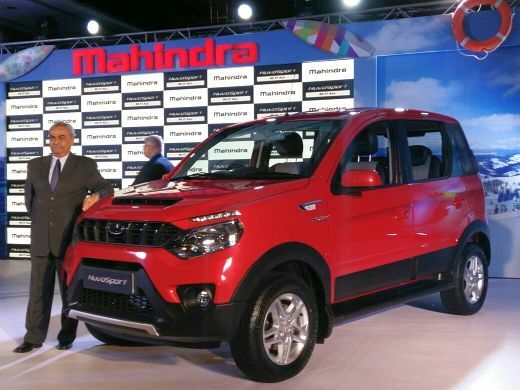 Mahindra has told us that the NuvoSport boasts of an all-new platform. The new hydroformed chassis should improve the dynamics. Also, with the launch of the Nuvosport, the much awaited Quanto AMT finally sees a market debut. 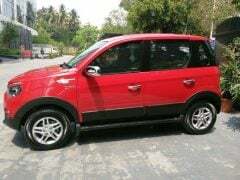 The new model Mahindra Quanto features many new styling details that come together to enhance its aesthetic appeal. 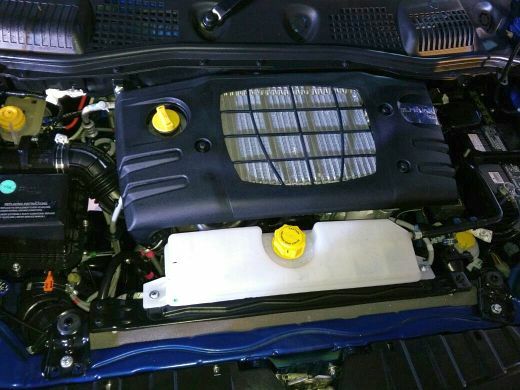 The front-end of the Quanto facelift, nay, the Nuvosport features a radiator grill that in line with that of some of the pricier models in Mahindra’s portfolio. Also, the front-end of the new model Mahindra Quanto aka Nuvosport features a beefier bumper and updated headlamps that are flanked by strips of LED DRLs. The rear-end, however, doesn’t get major changes. This means that the Quanto continues to sport a tailgate-mounted spare wheel and a the only change that this car receives is a set of revised taillights. The interior of the upcoming facelift doesn’t see too many changes. It continues with the same basic design as the outgoing model. While the beige color theme stays, the car gets a new steering wheel with audio controls. 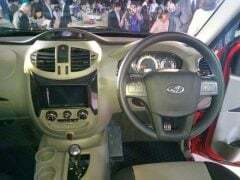 The cabin also gets a centre armrest for the front passengers, a new audio system and a new instrument cluster. The seats are also new. They are expected to have better cushioning and improved lumbar support. The features list includes a 6.2-inch touchscreen system that comes from the Rexton! You also get practical features like additional jump seats placed behind the second-row of seats. Stay tuned to Car Blog India for more on new 2016 Mahindra Nuvosport price and launch details along with a test drive review. 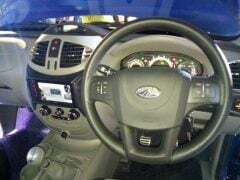 Also watch this space for Mahindra Nuvosport Test Drive Review in video format. 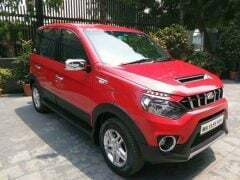 So what do you about the new 2016 Mahindra Nuvosport price? Do you think the NuvoSport is a well-priced product? Do share your views on the Mahindra Nuvosport price in the comments section below.